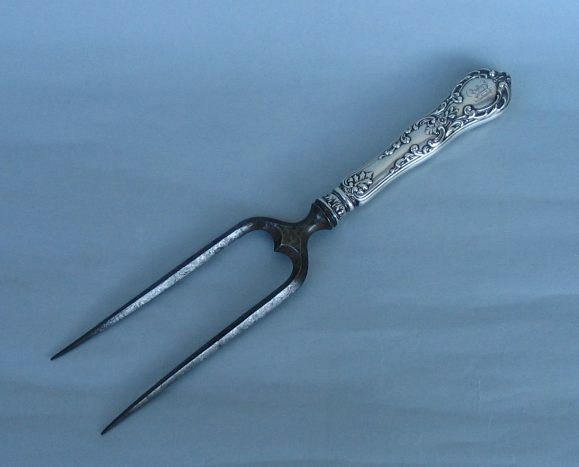 this roast fork has stainless prongs and sterling silver handle decorated with bunches of grapes and vine leaves. 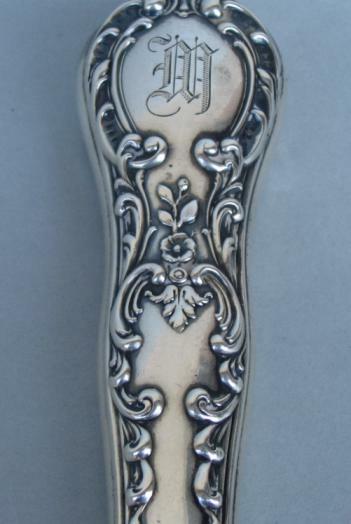 It has Gorham hallmark (faint) and a monogram on the reserve. It measures 11 in. (28 cm.) and was bought from a US dealer through the the Internet.